The following event rules and guidelines are intended to help produce and direct our event in a manner that will ensure the safety of all participants, to meet the requirements of local government permits and to be compliant with applicable USA Track & Field (USATF) regulations for participant performance records and event liability. Your cooperation is greatly appreciated in helping everyone to enjoy race day. Registrants must be capable of completing the full race distance (Marathon/Half), from start line to finish line, passing through every aid station, within the event time requirement. Any marathon runner still on the course after 6 hours MUST follow all state and local traffic signals, and will be proceeding at their own risk. Participants must stay on the official course and follow the instructions and directions of course marshals, safety officials and law enforcement officers at all times. It is the responsibility of each participant to know the course and follow the appropriate course markings. Participants who leave the course will be automatically disqualified. Please see the course map to learn the course before race day. Spectators are asked to remain off the course and/or in designated spectator areas during the event. If you attempt to sell your race number, you may be banned from future events. We suggest that all runners be at least 18 years of age to participate in these events. Anyone under 18 years old must have a signed release from their parent or guardian. You must be in good health and physically prepared to take on the challenge of a Marathon or Half Marathon or other related events. Sections of the course are open to the general public, including walkers, bicyclists and vehicle traffic; please be courteous to those individuals who are not race participants, yielding pathways if/when necessary. Please yield to emergency vehicles and other official and non-official vehicles, if necessary. You must show photo ID to receive your race number and timing chip. If you are picking up for another runner, you must show a copy of their photo ID or a printed or digital copy authorizing you to pick up their items. Official race numbers are required to participate and must be worn at all time while on the official course. Participants may not use bikes, in-line skates, skateboards, or baby joggers during the event and are not allowed to run with a dog while on the course. Participants understand that there are inherent dangers (storms, forest fires, lightning, flooding, domestic animals. debris, cattle drives, etc.) with road running events in the mountain west that are beyond the organizer’s control. 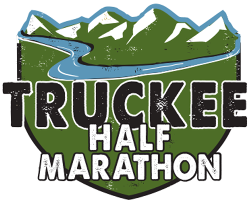 The organizers of the Truckee Marathon Events reserve the right to cancel the race(s) should any situation present a danger to the participants, staff, vendors, safety officials or motorists, and participants full understand that refunds may not be issued. Participants understand that domestic and/or wild animals may be present on the course and are advised not to approach such animals.